Why would I need self storage in Griffith, IN? There are a variety of reasons why you might need self-storage in Griffith, IN. How much is a storage unit in Griffith, IN? The cheapest storage unit in Griffith, IN is $61.00 per month. What size storage units do you have available in Griffith, IN? In Griffith, IN we have sizes that range from 5'x5' to 10'x30' to suit your storage needs. How much is it for a 5'x5' storage unit in Griffith, IN? The cheapest 5'x5' storage unit in Griffith, IN is $61.00 per month. Located in Indiana's Lake County, Griffith is a midsize town that borders the outer edge of the greater Chicago metro area. Thanks to its location, it's able to offer all the perks of a small town with the convenience of an easy commute into the Windy City. Although Griffith's population growth has leveled off in recent decades, it still remains a popular commuter suburb. Griffith was settled by farmers in the early 1850s following Congress's passing of the Swamp Land Act, when Indiana began offering land for $1.25 an acre. By the early 1890s, homes, factories, railroads and a school had been built. Griffith evolved quickly and became known as Chicago's Best Factory Suburb. 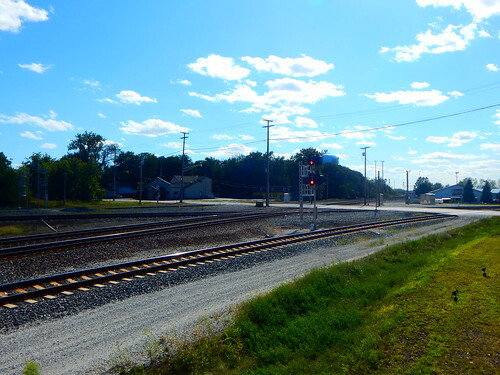 New residents were attracted by the railroad jobs, and with the addition of a second foundry in the 1920s, Griffith's population grew to more than 1,000. Another population boom occurred in the 1970s, increasing the town from just over 9,000 people to more than 18,000. Griffith is a family-friendly town offering unique museums and recreational activities, not to mention proximity to world-class dining, cultural attractions and more inside the nearby Chicago city limits. The area offers a great deal of historical and cultural interest in addition to its cultural and economic diversity. And although the town has seen a slight decrease in its population, Griffith offers an overall cost of living that's in line with the national average, making it an affordable alternative to living in the downtown Chicago. Local events include Griffith Central Market, a community gathering that takes place every Friday night during the warmer months. Locals enjoy a variety of food trucks, live performances and local arts and crafts for purchase. Griffith Oktoberfest is another local favorite, combining a celebration of German culture with Halloween-time festivities. Griffith Public Schools serves the town, managing its elementary, middle and high schools. Private schools in Griffith are generally faith-based, overseen by local churches. Several preschool programs offer a range of options for early childhood education. Opportunities for post-secondary education are plentiful in the nearby city of Chicago, which offers a number of colleges and universities within its limits as well as its suburbs. Utilities: The town's utilities department manages water and sewer services. NIPSCO is the major energy provider in the area. Garbage and Recycling: The town provides trash and recyclables collection as well as spring yard clean-up services and fall leaf collection. Transportation: Gary Public Transportation serves the town of Griffith, providing a public transportation option in the town as well as its surrounding communities. Griffith is a very affordable place to call home, with a median home price that is well below the national average. Because it's such a budget-friendly town, many people choose to live here instead of in nearby Chicago (or its pricier suburbs). There are a fair amount of properties to choose from, so you'll be able to weigh your options and find something you love. Our lowest priced units in Griffith, IN average $61.00 per month. 63 people have reserved units in Griffith, IN in the past 30 days. There is 1 location within Griffith, IN's city limits.